We’d love your help. Let us know what’s wrong with this preview of Gentle Bridges by Jeremy W. Hayward. To ask other readers questions about Gentle Bridges, please sign up. 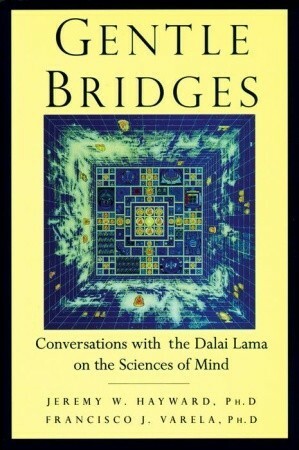 This book was compiled from some conversations between His Holiness the Dalai Lama XIV, a couple of interpreters and Buddhist scholars, and half a dozen scientists, that took place in 1987. It's very easy to read and engaging, especially because of the respect among all the participants and their sincere desire to understand the mind better. They each came with questions and ideas and share them openly which led to some very illuminating discussions. My sister gave me this for Christmas in 2007 as I'm sure I must've told her I want anything by Francisco Varela, the co-editor with Jeremy Hayward. I'll rate it again when I get around to reading it. I discovered a connection in 2010 while skimming a UCLA library book by Herbert Guenther, "From Reductionism to Creativity: rDzogs-chen and the New Sciences of Mind," (2001): Jeremy Hayward wrote the forward! The first book I read from the Mind and Life series. Fascinating research and science presented by his guests. Great perceptive questions and insights from the Dalai Lama.